Unlike India, insurance is available for the HIV people in the West. The Indian insurance market is quite aggressive on their financials and costing. The guidelines provided by IRDA are more humane and less lucrative. 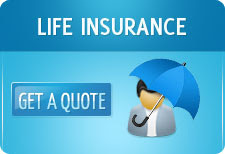 Experts feel that this initiative might not be welcome by the Indian Insurance Companies. That is, of course, unless IRDA decides to take a leap ahead and impose mandatory bindings on the insurance companies. Labels: health insurance, Insurance for HIV India, IRDA, life insurance, Policytiger.com.